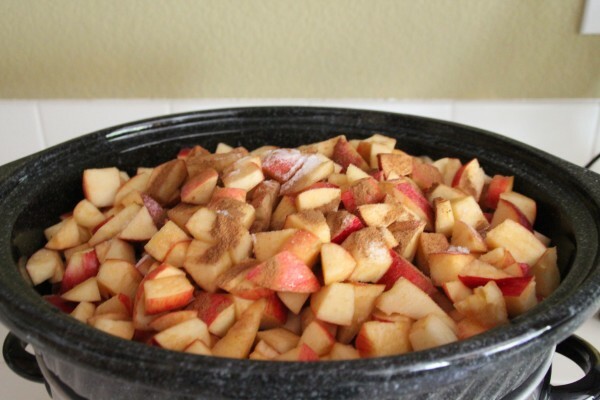 My friend Kate of San Diego Deals and Steals posted the most amazing and simple recipe recipe for homemade slow cooker crock pot applesauce with organic apples and cinnamon. "So about a month ago my mom brought over a HUGE bag of organic apples from her neighbor John’s apple tree. On one hand – SCORE – free organic apples. On the other hand – organic apples don’t keep as long as their pesticide ridden counterparts and I immediately began stressing about how we would consume them all before they went bad." For Johnny Appleseed Day (Sept 26) I make homemade cinnamon apple sauce (it's more chunky than saucy though) with my students in class. We do it in the crock pot & let it cook all day. My classroom always smells sooooo good on that day & we have such a yummy snack to share in the afternoon! I made this last year and snuck in spinach and carrots....I did add blueberries too! It was a super easy way to get the kids to eat some veggies! !